A Palestinian who was detained without charge under an Israeli administrative detention order has ended a hunger strike he has been engaged in for sixty-six days. 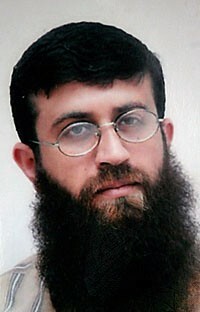 Khader Adnan reached a deal with Israeli authorities for his release. Under the proposed deal, Adnan will be released on April 17, three weeks before his administrative order expires. While Israel claims it will not renew the administrative order, the country has a history of renewing such orders. Khader Adnan, 34 from Arabe near Jenin, detained on December 17th, went on a hunger strike from the second day of his arrest as a protest against the circumstances of detention and his interrogators behavior. Ever since, for 45 days, he does not eat and only drinks water, refusing all nutrients and transfusions. His health is deteriorating and his life will be in danger if he continues the hunger strike. In an affidavit to an attorney sent by PHR Israel, Adnan describes his arrest as violent that included threatening and humiliating Adnan’s family members. Adnan described that the soldiers broke into his house masked and guns drawn toward the family. According to his complaint, he was shackled hands behind his back and was taken by a jeep to the settlement of Mavo-Dotan discarded on the floor of the jeep. All during the drive he was kicked and slapped by the soldiers. When arriving to Mavo-Dotan he was detained outside at the freezing cold, his shackled hands swelling, his lower lip bleeding. During the interrogation by the Israeli Security Agency (ISA, previously known as GSS), at Kishon detention center, Adnan was seated shackled to a chair tilted back in a position that caused him acute back pains with hands behind his back. The interrogators humiliated and cursed him, threatening to harm his family and his honor. According to his affidavit, humiliating insinuations were made using his religion. Following one day of such harsh and humiliating interrogation, Adnan went on a full hunger strike, now entering its 45th day. Although on a hunger strike, Adnan’s interrogation continued, for long hours, until December 29th. From the 7th day of the hunger Strike Adnan refuses medical examination by the IPS. …[D]ue to heart failure, or as the result of infection following the collapse of the immune system. Bleeding in the digestive tracts andrenal or hepatic failure are possible. A deterioration in his state of consciousness can be expected due to the shortage of vitamins and intracerebral hemorrhage. A fast in excess of 70 days does not permit survival. Infusion of liquids, adjustment of salts, and the addition of glucose and vitamin cannot prevent certain death due to such a protracted hunger strike. One might ask why any prisoner would do this to themselves. The answer is because they are powerless in the face of such inhumane treatment if they do not strike. Hunger striking is one of the few weapons a prisoner has when faced with such a vile practice of internment. Prisoners have engaged in hunger strikes at Guantanamo Bay prison because that is all they can do to challenge their indefinite detention. Administrative detention is a form of arbitrary detention. The US routinely practices arbitrary detention under the auspices of the “war on terrorism.” Glenn Greenwald of Salon, in his coverage of Adnan, highlighted how this occurs “both within war zones and outside of them” and “how the Obama administration continues to hold hundreds of prisoners who have never been charged with any crime even as they have remained captive for many years.” He points out how the practice has become accepted as normal in the US and Israel. The practice of internment has also been employed in Iran, Myanmar, Syria, Egypt, Venezuela, Yemen, India, Lebanon, Turkmenistan, Mauritania, United Arab Emirates, Libya, Vietnam, Pakistan and Iraq. A UN Working Group on Arbitrary Detention report suggests Iraq, which has been under US occupation for much of the past decade, has been one of the worst perpetrators of this practice. And, this diplomatic cable released by WikiLeaks provides a potent example of how the practice has been used to violate citizens of Iraq. The cable, sent by the Working Group, responds to the arbitrary detention of an Iraqi journalist for Al Arabiya. …the American forces and the Iraqi authorities have presented no proof that would substantiate Mr. Hammed involvement in any illegal activity. His detention would solely be motivated for the aim to impede him to continue exercising his activities as a journalist. Shane Bauer, Josh Fattal and Sarah Shourd, US hikers who were held in arbitrary detention in Iran for 14 months, know well what happens to a person held without charge. They spoke at an “Occupy for Prisoners” rally outside San Quentin prison yesterday. Bauer said he learned “very quickly” that they would “receive almost no improvements” in their conditions unless they fought for them. Also, his ability to “stay sane” depended on fighting for those conditions. He spoke about how his greatest fear was being forgotten. He and Fattal went on hunger strike. His interrogator told him the hunger strike was “useless.” They eventually managed to win access to letters being sent to them. Prisons function on the ability to control a small self-contained world, but when that world stops being self-contained, when people inside are coordinated with people outside, that system of control falls apart. When our families and Sarah publicly hunger struck on the outside in solidarity with us on the inside, we started receiving all of our letters. We got a phone call and books from our families came without delay and then we got free. This is true in the case of Khader Adnan. The movement for Palestinian rights has been further galvanized by Israel’s detention of Adnan. It spurred protests in Gaza and the West Bank. And, undoubtedly, Adnan’s commitment to freedom and knowledge that there are those fighting for him on the outside kept him alive in the longest hunger strike ever carried out by a Palestinian prisoner. The only thing I can do is offer my soul to God as I believe righteousness and justice will eventually triumph over tyranny and oppression…I hereby assert that I am confronting the occupiers not for my own sake as an individual, but for the sake of thousands of prisoners who are being deprived of their simplest human rights while the world and international community look on. Adnan is an inspiration to all who face systems of oppression. He has become a powerful symbol of Palestinian rights. For that, he may face inevitable retaliation. The tool of arbitary detention is a tool used by Israel, because it feels threatened by the movement of Palestinians against apartheid in Israel. It is a tool wielded by powers, which rule by fear. It is guaranteed to fuel more action against Israel, as long as it is used. The apparent success of Adnan’s hunger strike should compel the world to put more pressure on countries to end the practice of arbitrary detention, especially in countries that claim to be democracies, like the US and Israel. But that cannot be the only response to Adnan’s internment. The preservation of dominance over the Palestinian people is why Israel imprisons people like Adnan. It is not enough to condemn arbitrary detention because that is not the only way Palestinians are abused, mistreated and violated. The entire system of Israeli apartheid must be dismantled just like other systems of oppression in countries where arbitrary detention is employed should be dismantled as well. Israel could deny Adnan the medical care he needs to recover. He could still die in prison. There are no guarantees of survival, especially when one considers how Palestinians have historically been treated. CNN Grants Broad Anonymity to GOP Partisans. Why?